Click here for Kindle eBook, or here for the PDF. Come home to pie! 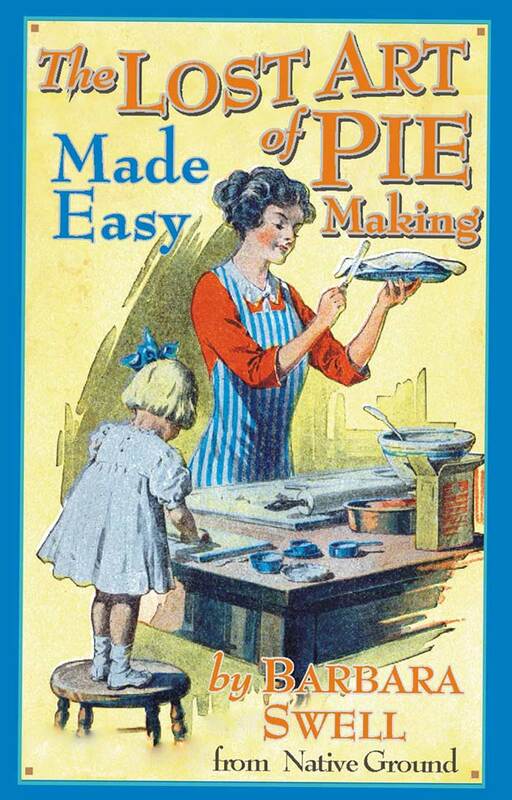 This witty and fun cookbook shows you how to make a darn good pie in a jiffy. You’ll feel like you’re back in your grandma’s kitchen as she shows you how she rolls out her flaky, tender pie crust. Recipes date from 1831, many from 19th century handwritten cooking journals. 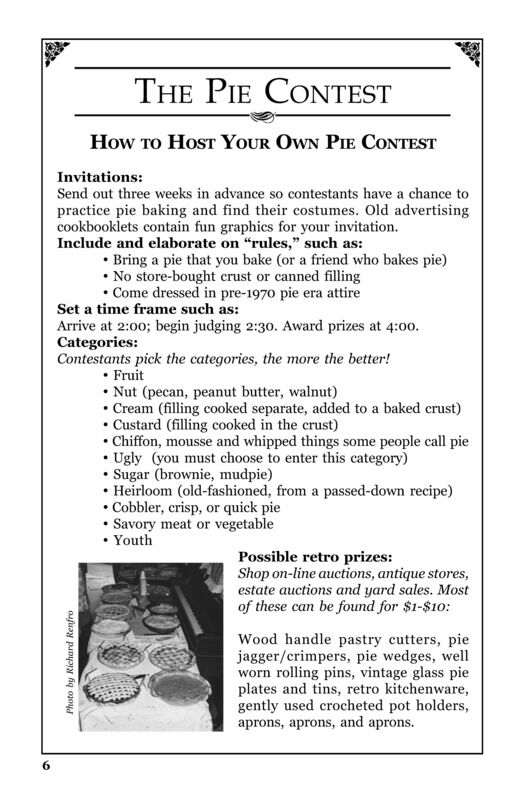 Includes old-time pie lore, pie insults, why men love pie, pie contest tips, vintage photos, historic recipes, and more. 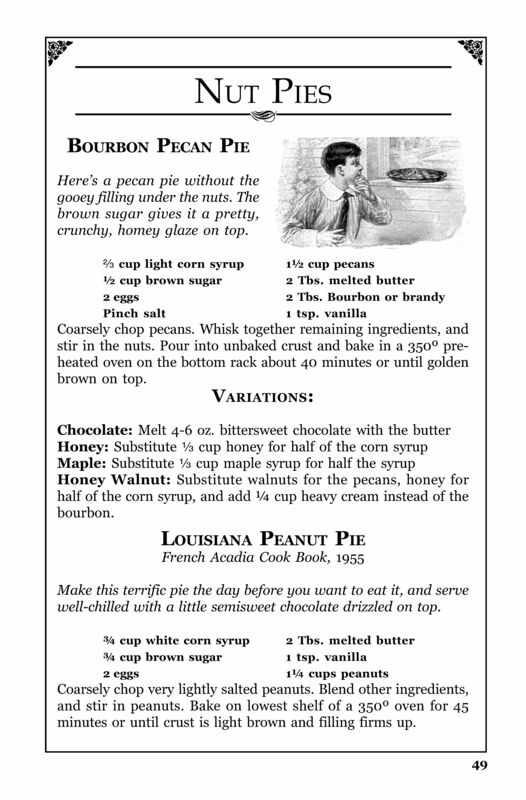 Make pies like Rum Bittersweet Chocolate, Vanilla crumb, Apple/Pear Mince, Sour Cherry Amaretto, Fresh Raspberry, Louisiana Peanut, as well as quick flip pies, dumplings and crisps. 5 ½ x 8 ½, 72 pages. 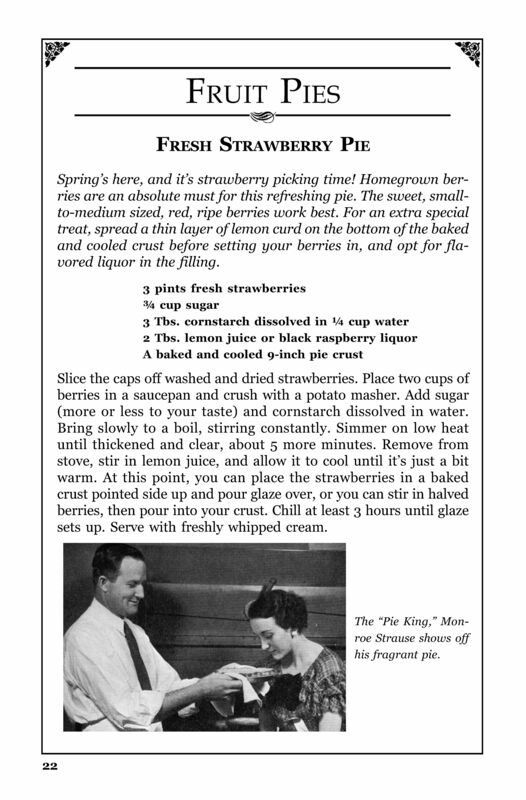 RECIPES INCLUDE: Pie Crust: Aunt Jenny’s Crust, Barb’s Butter Crust, Mom Brooks’ Crust, Oil Crust, Fruit Pies: Apple Raspberry, Concord Grape, Dutch Oven Apple Cherry, Fresh Blueberry, Fresh Raspberry, Fresh Rhubarb, Green Apple July Berry Pie, Raspberries in Ambush, Simple Summer Fruit, Sour Cherry Amaretto, Strawberry Rhubarb, Lemon Pie: Lemon Custard, Lemon Meringue, Lemon Sponge, Two Crust Lemon, Cream Pie: Banana Cream, Chocolate Cream, Coconut Cream, Orange Cream, Holiday Pie: Apple/Pear Mince, Farmer’s Mince, Mock Cherry, Pumpkin, Pumpkin Chiffon, Custard: Chess, Chocolate Chess, Lemon Chess, Coconut, Key Lime, Os-Good, Pinto Bean, Rum Bittersweet, Sliced Sweet Potato, Sweet Potato, Nut Pie: Bourbon Pecan, Karo Pecan, Louisiana Peanut, Mock Pecan (Oatmeal), Quick Pie: Apricot Skillet, Cranberry Surprise, Fruit Crisp, Honey Apple Dumplings, Miracle Cobbler. 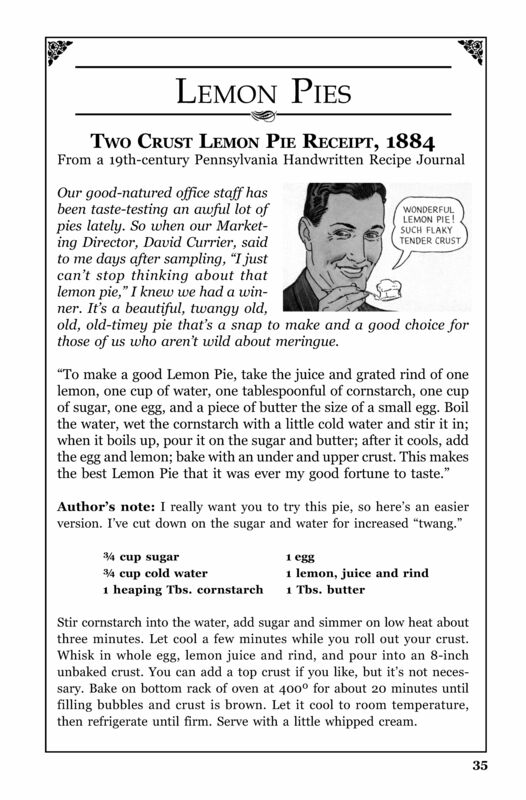 This gem is full of pie history and folklore, and delves into the psychology of why men love pie–and oh, yeah, it’s got great pie recipes, too. A friend gave me The Lost Art of Pie Making, and it’s incredible! I made the pecan and pumpkin pies from your book and they both turned out great. I took your pie class a while back and have lost most of my pie fears. Thanks for giving me pie courage! 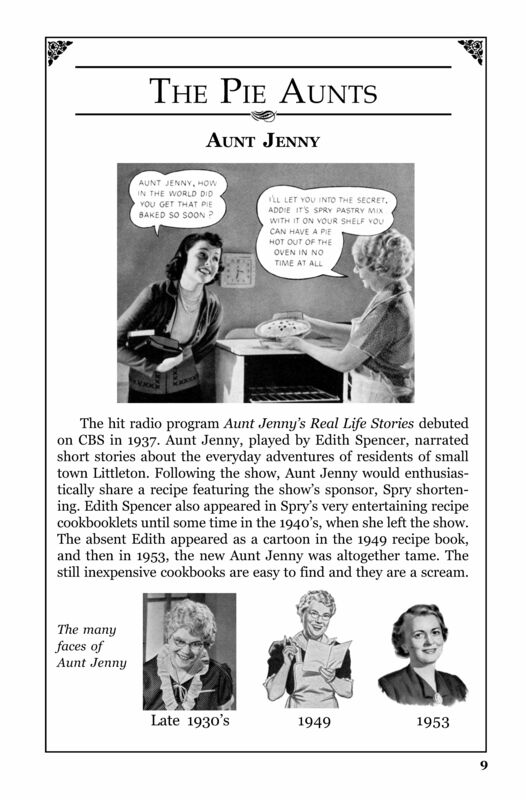 I enjoyed this book so such I immediately took steps to obtain Barbara Swells other cookbooks. My family is so impressed with the pies I’ve made since reading your book! I reviewed Barb’s book a few years ago, and want to update it. “Lost Art” has become one of my most recommended books to friends and family. Not among recipe books – among ALL books! Her writing style, life message, and choice of subjects are each compelling reasons to purchase as many copies as you can afford to pass on to those you care about. 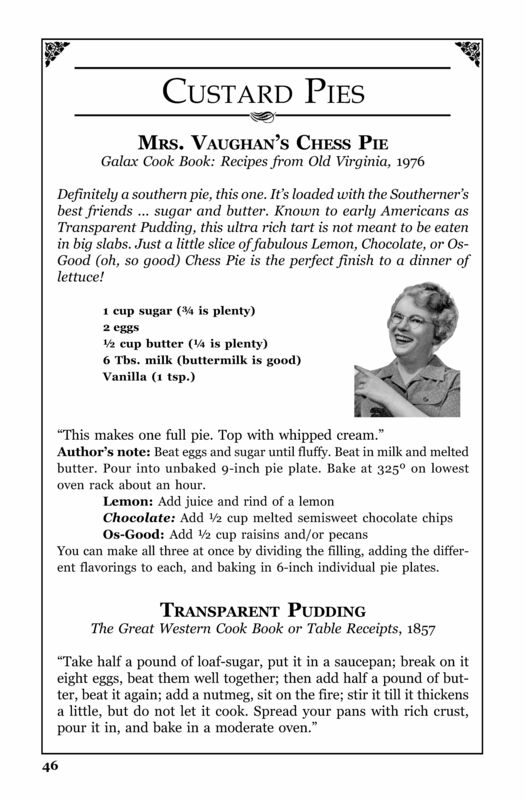 The words, characters, and pies inspire and sustain me. Thanks Barb. 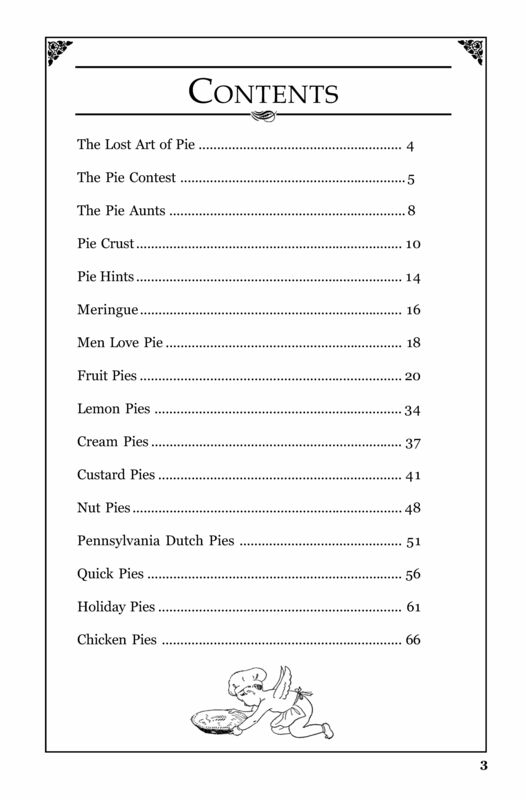 I bought “The Lost Art of Pie Making” in the US (I’m an American) over 10 years ago. I have always loved it! So when I married a Swede and packed up for Sweden I brought it with me in one of my suitcases! My husband loves my American pies and we make them together…in fact…everyone in both countries who have tasted my pies love them! So, Babara, you are influencing at home and abroad! Thank you for giving me a piece of home I could bring with me!